I wrote this piece as part of the awareness that Children International is doing for the #CreateHope campaign. Their goal is to get more than 100 girls sponsored by March 8 which is International Women’s Day. This would give 100 more girls in need the opportunity to overcome the obstacles of gender inequality, to transform their own futures free from poverty. I am a longtime sponsor of Children International and have sponsored three boys in Guatemala over several years. This blog post is my part in helping the Create Hope campaign. Back many years ago, I had just gone through an ordeal in life that almost left me homeless. I was within days of living in my car. Fortunately, events transpired that helped me to go from nearly homeless to having a place to live and a job. Growing up our family had its share of difficulties like many do. Food was not always plentiful, and I remember being so tired of government dried eggs, milk, and peanut butter when I was very young. School lunches were sometimes the most I got to eat in a day. When I came across an ad on TV about Children International, I knew I had to act. It was before there was much to the internet. I had seen other companies that made the emotional pleas about helping children in the world, but they usually turned me off. Not exactly the result they had in mind, I’m guessing. 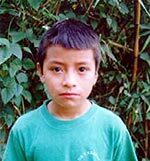 My very first sponsored child was Jose. I always enjoyed getting letters and hand drawings from him. As the years went by, I could tell that he was progressing along and learning. 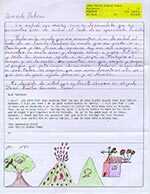 While I knew my little bit of sponsorship only went so far, I was happy to be helping make a difference in his life. Getting information about his family and regional information about where they lived helped. It showed me another side of the world that I don’t often get to see. I feel like it has enriched my life beyond anything I could have done. Jose got to the age where he had to leave the sponsorship program, and it was hard for me to let go and say goodbye. I know my monthly sponsorship made a difference in his life. There are times that I wonder how he is doing. After that, I knew I needed to continue this program. I feel like it not only helps the sponsored child, but I get much more back than I give. Erick came into my life at this point. He was also from Guatemala. Unfortunately, because of a situation, Erick had to drop out of the sponsorship program which was not easy for me. However, I then started sponsoring Jonas when he was six years old and now he is 10 years old. Even though I may never meet either Erick, Jose, or Jonas, I feel connected to them and their families. I am sure it isn’t easy for their parents to accept help knowing that they struggle to make it in life. I understand that far too much. Regardless of what happens in my life, I have tried to keep up with monthly sponsorship. There have been a few times when I needed to put it on hold, but my desire was always to be there for these kids. I know I have my own problems, but when I see them I realize that I have so much. Giving back is the least I can do for someone like Erick or Jose to help them in life. I had the opportunity to be part of a focus group for Children International, and it was an honor that I cherished. Getting to meet other sponsors helped make it seem more real to me. Some had gotten to travel and meet their adopted children. That would be a dream come true for me one day. 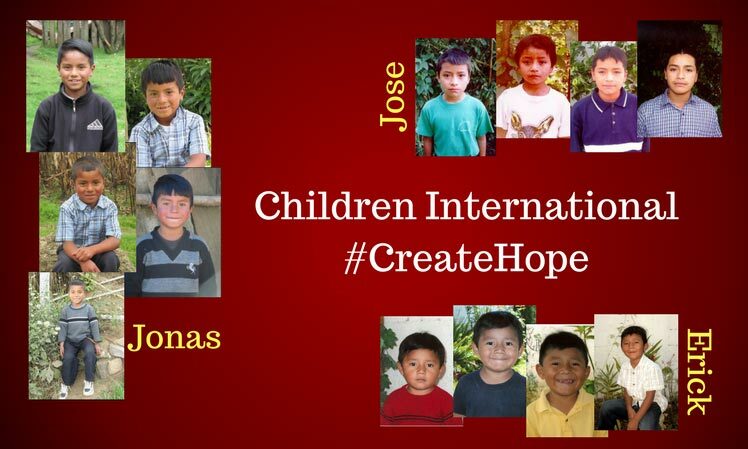 The connection from me to Children International is Jonas, Erick, and Jose. I have kept every letter I have gotten from them, and sometimes I just love to go back and read these things, plus look at the pictures of how they have grown. Children International has become a part of my family, and they hold a special place in my heart. 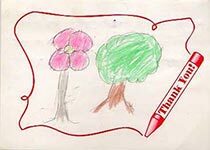 Join me in helping Children International create hope! It will mean the world to these sponsored children and their families. Here’s one of the letters I received from Jose. It is a highlight as a sponsor as far as I am concerned. This is a thank you note I received from Jose and things like this always warm my heart.